Marriott Vacation Club International and the programs and products provided under the Marriott Vacation Club Destinations and Marriott Vacation Club brands are not owned, developed, or sold by Marriott International, Inc. Marriott Vacation Club International uses the Marriott marks under license from Marriott International, Inc. and its affiliates. 1 Marriott International, Inc., Marriott Vacation Club International and their respective affiliates, and subsidiaries, make no warranty, express or implied, as to the condition, capacity, performance or any other aspect of the activities, events, or service providers listed herein. No inquiry has been made into the activities or events, or the qualifications or the quality of services offered by the providers. Do not consider this an endorsement of or recommendation for any of the activities, events, or providers. Features, furnishings and amenities may be proposed and are subject to change. 2 Marriott Vacation Club Destinations Exchange Program's ability to confirm a specific exchange request is dependent upon the timeshare interests and use periods available or as provided by the provider of accommodations or services. Therefore, Marriott Vacation Club Destinations Exchange Program cannot guarantee specific resort choices, dates of travel, or types or sizes of accommodations. The earlier an exchange is requested, the better the possibility that a specific request may be confirmed. 3 Access to Marriott Bonvoy™ is provided via membership in the Marriott Bonvoy Program, and is subject to the Marriott Bonvoy Terms & Conditions and the terms and conditions as outlined in the applicable Marriott Vacation Club Destinations Exchange Program documents. Actual participating resorts and hotels are subject to change. The Marriott Bonvoy Program may be discontinued at any time. Some Marriott Vacation Club Destinations Exchange Program Enrolled Owners will be unable to trade their usage for Marriott Bonvoy Points. 4 Access to the Explorer Collection is made available through the Marriott Vacation Club Destinations Exchange Program and is subject to the terms and conditions as outlined in the applicable Marriott Vacation Club Destinations Exchange Program documents. Actual experiences will be provided via contractual arrangements with third party providers and may require the payment of additional fees. The experiences described herein are examples of potential vacation opportunities and are subject to change. Marriott International, Inc., Marriott Vacation Club International and their respective affiliates, and subsidiaries, make no warranty, express or implied, as to the condition, capacity, performance or any other aspect of the activities, events, or service providers listed herein. No inquiry has been made into the activities or events, or the qualifications or the quality of services offered by the providers. Do not consider this an endorsement of or recommendation for any of the activities, events, or providers. 5 Access to resorts and services described as part of the Exchange Partner Resorts is provided via an affiliation with Interval International, Inc. and is subject to Interval International, Inc.'s terms and conditions. Actual participating resorts are subject to change. Participation in Exchange Partner Resorts may require the payment of additional fees. 6 The Marriott Vacation Club® Resorts is comprised of timeshare interests owned by the MVC Trust and available for usage through the Marriott Vacation Club Destinations timeshare plan and timeshare interests that are available for usage through the MVC Exchange Company; please see the applicable Marriott Vacation Club Destinations Exchange Program documents for more information. Resorts with property that comprise the MVC Trust are described in the documents provided at the time of sale, and more particularly on the exhibit entitled Component Site Chart, which may be revised from time to time. Request for occupancy at resorts with small amounts of property in the MVC Trust, as set forth in the Component Site Chart, will be fulfilled primarily through the Marriott Vacation Club Destinations Exchange Program. As of April 7, 2018 there are currently timeshare interests located at 53 resorts owned by the MVC Trust and those resorts are designated with the symbol T. As of April 7, 2018, there are 68 resorts, including the aforementioned 53 resorts, with timeshare interests available for exchange through the Marriott Vacation Club Destinations Exchange Program, and those resorts are designated with the symbol E. Please see the applicable Marriott Vacation Club Destinations Exchange Program documents for more information. 7 Owners and Enrolled Owners must consult the Reservation Procedures Documents for more details. The following disclosures 1 - 4 are relative to properties included in the MVC Trust. For properties made available only through the Marriott Vacation Club Destinations Exchange Program, the Vacation Club Points requirements set forth in the Points Charts contained in the Points Charts book and at www.My-VacationClub.com are subject to change by the Exchange Company at any time, in accordance with Article III of the Exchange Procedures for Marriott Vacation Club Destinations Exchange Program. Unless otherwise permitted by applicable law, with respect to any accommodation, no change exceeding ten percent (10%) per annum in the manner in which Vacation Club Point values may be used may be made without the assent of at least twenty-five percent (25%) of the voting power of the association other than the developer. No owner will be prevented from using the trust plan as a result of changes in the manner in which Vacation Club Point values may be used. In the event Vacation Club Point values are changed, no owner will be prevented from using the accommodations in the same manner as was provided for under the original purchase contract. Subject to the limitations in items 1 through 3 above and the Reservation Procedures for Marriott Vacation Club Destinations program, the Vacation Club Points requirements set forth on the Points Charts are subject to change by the Program Manager at any time, in accordance with Article III of the Reservation Procedures. For the most current Points Charts, please refer to www.My-VacationClub.com. Resort specific unit type descriptions are listed by each resort in the Points Charts. Reserved unit types are guaranteed. However, specific views are not guaranteed and may vary from unit to unit based on changes in vegetation, surrounding conditions and other factors. Marriott Vacation Club Destinations® is a registered project with the Alabama Real Estate Commission. The other projects referenced within this site are not considered an offer to Alabama residents. 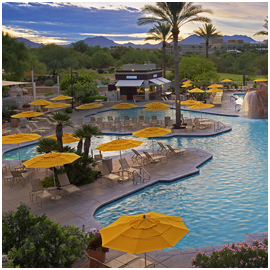 Marriott's Canyon Villas; Marriott Vacation Club Destinations are registered projects with the State of Arizona Department of Real Estate. The other projects referenced within this site are not considered an offer to Arizona residents. Marriott Vacation Club Destinations is a registered project with the Arkansas Real Estate Commission. The other projects referenced within this site are not considered an offer to Arkansas residents. Marriott Ownership Resorts, Inc. is the developer of Marriott's Desert Springs Villas; Marriott's Desert Springs Villas II; Marriott's Newport Coast Villas (NEWPORT COAST® is a registered trademark of The Irvine Company and is used herein with permission. Newport Coast® Villas is not affiliated or associated with The Irvine Company. ); and Marriott Vacation Club Destinations. Heavenly Properties, LLC is the developer of Marriott's Grand Residence Club, Lake Tahoe. The listed projects are exempt/registered projects with the California Department of Real Estate. The other projects referenced within this site are not considered an offer to California residents. Marriott Ownership Resorts, Inc. CA-BRE Lic# 1008481 James Miller, Responsible Broker. A fact sheet on facilities including association assessments is available upon request. Marriott Vacation Club Destinations is a registered project with the California Department of Real Estate. WARNING: THE CALIFORNIA DEPARTMENT OF REAL ESTATE HAS NOT EXAMINED THIS OFFERING, INCLUDING, BUT NOT LIMITED TO, THE CONDITION OF TITLE, THE STATUS OF BLANKET LIENS ON THE PROJECT (IF ANY), ARRANGEMENTS TO ASSURE PROJECT COMPLETION, ESCROW PRACTICES, CONTROL OVER PROJECT MANAGEMENT, RACIALLY DISCRIMINATORY PRACTICES (IF ANY), TERMS, CONDITIONS, AND PRICE OF THE OFFER, CONTROL OVER ANNUAL ASSESSMENTS (IF ANY), OR THE AVAILABILITY OF WATER, SERVICES, UTILITIES, OR IMPROVEMENTS. IT MAY BE ADVISABLE FOR YOU TO CONSULT AN ATTORNEY OR OTHER KNOWLEDGEABLE PROFESSIONAL WHO IS FAMILIAR WITH REAL ESTATE AND DEVELOPMENT LAW IN THE COUNTRY WHERE THIS SUBDIVISION IS SITUATED. Marriott's Mountain Valley Lodge; Marriott's StreamSide; and Marriott Vacation Club Destinations are registered projects with the Colorado Real Estate Commission. The other projects referenced within this site are not considered an offer to Colorado residents. Marriott Vacation Club Destinations is a registered project with the Connecticut Real Estate Commission. The other projects referenced within this site are not considered an offer to Connecticut residents. Any names and addresses acquired will be used for the purpose of soliciting the sale of time-share periods. Marriott's BeachPlace Towers; Marriott's Crystal Shores; Marriott's Cypress Harbour; Marriott's Grande Vista; Marriott's Harbour Lake; Marriott's Imperial Palm Villas; Marriott's Lakeshore Reserve; Marriott's Legends Edge at Bay Point; Marriott's Ocean Pointe; Marriott's Oceana Palms; Marriott's Royal Palms; Marriott's Sabal Palms; Marriott's Villas at Doral; Marriott Vacation Club Pulse, South Beach and Marriott Vacation Club Destinations are registered projects with the Department of Business and Professional Regulation, Division of Florida Land Sales, Condominiums and Mobile Homes. The other projects referenced within this site are not registered with the Department of Business and Professional Regulation in Florida, and are not considered an offer to Florida residents. Fla. Seller of Travel Reg. No. ST38869. Marriott Vacation Club Destinations is located at 6649 Westwood Blvd., Orlando, FL 32821. This project is a registered project with the Georgia Real Estate Commission. The other projects referenced within this site are not an offer to Georgia residents. As of September 2015, the price of timeshare periods at Marriott's Ko Olina Beach Club range from $23,050 to $141,090. The price of interests in the Marriott Vacation Club Destinations timeshare plan ranges from $2,850 - $3,565 per beneficial interest (depending on the number of beneficial interests purchased) as of March 31, 2019, and certain limitations may apply. Prices are subject to change. These projects are registered projects with the Hawaii Department of Commerce and Consumer Affairs. The other projects referenced within this site are not an offer to Hawaii residents. Marriott Vacation Club TD-191, Ko Olina Beach Club TD-153. Marriott Vacation Club Destinations is a registered project with the Idaho Real Estate Commission. The other projects referenced within this site are not an offer to Idaho residents. Marriott Vacation Club Destinations is a registered project with the Illinois Real Estate Commission. The other projects referenced within this site are not an offer to Illinois residents. Marriott Vacation Club Destinations is a registered project with the Indiana Consumer Protection Division. The other projects referenced within this site are not an offer to Indiana residents. Marriott Vacation Club Destinations is a registered project with the Iowa Department of Commerce, Professional Licensing and Regulation. The other projects referenced within this site are not an offer to Iowa residents. Marriott Vacation Club Destinations (KY AG # R-168) is a registered project with the Kentucky Real Estate Commission. The other projects referenced within this site are not an offer to Kentucky residents. Marriott Vacation Club Destinations is a registered project with the Louisiana Real Estate Commission. The other projects referenced within this site are not considered an offer to Louisiana residents. Marriott Ownership Resorts, Inc. is the broker (407-206-6000). Marriott Vacation Club Destinations is a registered project with the Maine Real Estate Commission. The other projects referenced within this site are not an offer to Maine residents. Marriott's Custom House and Marriott Vacation Club Destinations are registered projects with the Board of Registration of Real Estate Brokers and Salespersons. The other projects referenced within this site are not an offer to Massachusetts residents. Marriott Vacation Club Destinations is a registered project with the Department of Commerce. The other projects referenced within this site are not an offer to Minnesota residents. Marriott Vacation Club Destinations is a registered project with the Mississippi Real Estate Commission. The other projects referenced within this site are not an offer to Mississippi residents. Marriott's Willow Ridge Lodge and Marriott Vacation Club Destinations are registered projects with the Missouri Real Estate Commission. The other projects referenced within this site are not considered an offer to Missouri residents. Marriott Vacation Club Destinations is a registered project with the Montana Board of Realty Regulation. The other projects referenced within this site are not considered an offer to Montana residents. Marriott Vacation Club Destinations is a registered project with the Nebraska Real Estate Commission. The other projects referenced within this site are not considered an offer to Nebraska residents. Marriott's Grand Chateau, located in the State of Nevada; and Marriott Vacation Club Destinations located in Florida, are registered projects with The State of Nevada, Department of Business and Industry, Real Estate Division. The other projects referenced within this site are not an offer to Nevada residents. Marriott Vacation Club Destinations is a registered project with the State of New Hampshire. The other projects referenced within this site are not considered an offer to New Hampshire residents. Marriott's Fairway Villas at Seaview; and Marriott Vacation Club Destinations (N.J. Reg. No. 10-99-0007) are registered projects with the New Jersey Real Estate Commission. The other projects referenced within this site are not considered an offer to New Jersey residents. The price of interests in the Marriott Vacation Club Destinations timeshare plan ranges from $2,850 - $3,565 per beneficial interest (depending on the number of beneficial interests purchased) as of March 31, 2019, and certain limitations may apply. THE COMPLETE OFFERING TERMS ARE IN AN OFFERING PLAN AVAILABLE FROM SPONSOR. This project is a registered project with the Real Estate Financing Bureau, Department of Law. The other projects referenced within this site are not considered an offer to New York residents. Marriott Vacation Club Destinations is a registered project with the North Dakota Real Estate Commission. The other projects referenced within this site are not considered an offer to North Dakota residents. Marriott Vacation Club Destinations is an exempt/registered project with the Ohio Division of Real Estate. The other projects referenced within this site are not considered an offer to Ohio residents. Marriott Vacation Club Destinations is a registered project with the Oklahoma Real Estate Commission. The other projects referenced within this site are not an offer to Oklahoma residents. Marriott Vacation Club Destinations is a registered project with the Oregon Real Estate Agency. The other projects referenced within this site are not an offer to Oregon residents. Marriott Vacation Club Destinations is a registered project with the Pennsylvania Real Estate Commission. The other projects referenced within this site are not considered an offer to Pennsylvania residents. Marriott Vacation Club Destinations is a registered project with the State of Rhode Island Department of Business Regulation. The other projects referenced within this site are not considered an offer to Rhode Island residents. Marriott's Barony Beach Club; Marriott's Grande Ocean; Marriott's Harbour Club, Marriott's Harbour Pointe, Marriott's Heritage Club, Marriott's Monarch at Sea Pines, Marriott's OceanWatch Villas; Marriott's Sunset Pointe; Marriott's SurfWatch; and Marriott Vacation Club Destinations are registered projects with the South Carolina Real Estate Commission. The other projects referenced within this site are not considered an offer to South Carolina residents. Any names and addresses acquired will be used for the purpose of soliciting the sale of time-share periods. Marriott Vacation Club Destinations is a registered project with the South Dakota Real Estate Commission. The other projects referenced within this site are not considered an offer to South Dakota residents. Marriott Vacation Club Destinations is a registered project with the Tennessee Real Estate Commission. The other projects referenced within this site are not considered an offer to Tennessee residents. Marriott Vacation Club Destinations is a registered project with the Texas Real Estate Commission. The other projects referenced within this site are not considered an offer to Texas residents. Marriott's MountainSide; Marriott's Summit Watch at Park City, and Marriott Vacation Club Destinations are registered projects with the Utah Department of Business Regulation, Division of Real Estate. The other projects referenced within this site are not considered an offer to Utah residents. Marriott's Manor Club at Ford's Colony and Marriott Vacation Club Destinations are registered projects with the Virginia Real Estate Board. The other projects referenced within this site are not an offer to Virginia residents. Marriott Vacation Club Destinations is a registered project with the Washington Business and Professions Division / Timeshare. The other projects referenced within this site are not an offer to Washington residents. Marriott Vacation Club Destinations is a registered project with the West Virginia Division of Land Sales and Condominiums. The other projects referenced within this site are not considered an offer to West Virginia residents. Any names and addresses acquired will be used for the purpose of soliciting the sale of time-share periods. The Law 42/1998 of 15 December requires promoters of timeshare to disclose the following information: Marriott's Playa Andaluza resort, owned by MVCI PLAYA ANDALUZA HOLIDAYS S.L.., is free from charges other than the timeshare regime and public legal sea-side easements and is registered in the Property Registry number 2 of Estepona (Málaga) plot 52.790. Potential purchasers of timeshare must consult the Property Registry to know the legal aspects of the plot of land and of the timeshare regime. The Law 42/1998 of 15 December requires promoters of timeshare to disclose the following information: Marriott's Club Son Antem, owned by MVCI HOLIDAYS S.L., is free from charges and is registered in the Property Registry number 4, Palma de Mallorca, Spain, plot 38982. Potential purchasers of timeshare must consult the Property Registry to know the legal aspects of the plot of land and of the timeshare regime. The Law 42/1998 of 15 December requires promoters of timeshare to disclose the following information: Marriott's Marbella Beach Resort, owned by MVCI HOLIDAYS S.L., is free from charges and is registered in the Property Registry number 1 of Marbella (Málaga) plot 9784. Potential purchasers of timeshare must consult the Property Registry to know the legal aspects of the plot of land and of the timeshare regime. The terms offered by Marriott's Village d'Ile-de-France may be obtained at MVCI HOLIDAYS FRANCE S.A.S, Allée de l'Orme Rond, 77700 Bailly-Romainvilliers, France. Any names and addresses acquired will be used for the purpose of soliciting the sale of vacation time-sharing plans. This is neither an offer to sell nor a solicitation to buy to residents in jurisdictions in which registration requirements have not been fulfilled, and your eligibility and the resorts available for purchase will depend upon the state of residency of the purchaser. THIS ADVERTISING MATERIAL IS BEING USED FOR THE PURPOSE OF SOLICITING THE SALE OF TIMESHARE PERIODS.